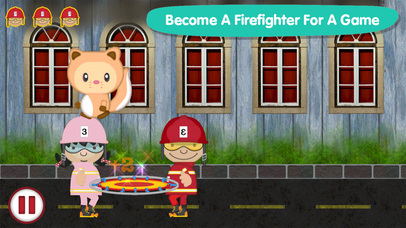 "Firehouse Adventure is refreshingly unique and a blast for kids. They will not even realize how much they are learning about firefighters until you start asking them questions about the profession. If you little one is at the stage where they love to imagine what they will be when they grow up, this game will thrill, entertain, educate and inspire them." - Designed by parents and loved by kids! 1. 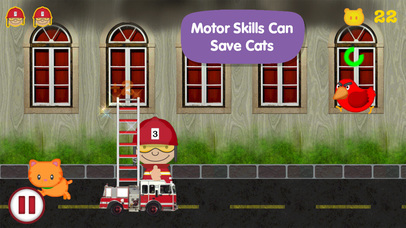 Ladder Rescue - Tilt the game to move the firetruck and save the animals. 2. Firetruck Traffic - Help the firefighters get to the fire. Avoid other cars by tapping on the screen. 3. In The Trees - Help save the animals stuck in the trees by tilting the game. Watch out for falling objects! 4. Put Out The Fire - Help the firefighters put out fires. Squirt water on the fires by touching the screen. 5. Safety Net - Drag the safety net under the animals to save them from the fire. 6. Find & Rescue - Tilt the game to move through the room and rescue all the animals. Watch out for fires! 7. Helicopter Drop - Help the firefighters put out the fires by touching the screen to drop water. 8. 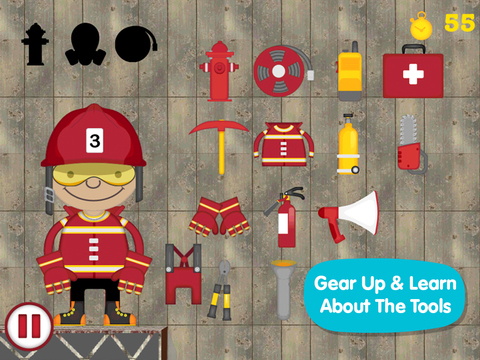 Firefighter Gear - Find all the items the firefighter needs for an emergency. 9. 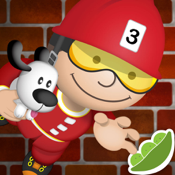 Road Rescue - Dodge the fire hazards and rescue the innocent pets. Peapod Labs is a member of Moms with Apps, a collaborative group of family-friendly developers seeking to promote quality apps for kids and families.